Income statements are an integral part of the financial planning of a business. 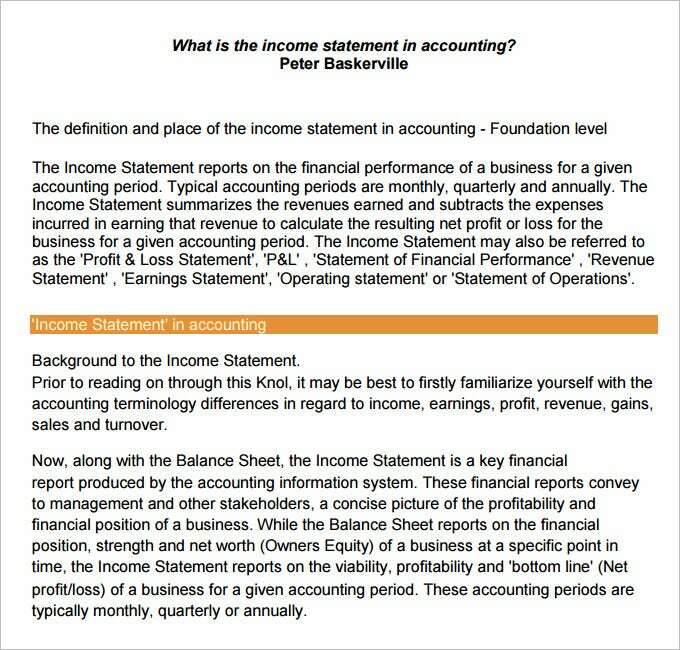 The income statement forms a part of books of accounts and represents the position of business in terms of expenses incurred, incomes earned, and profit and loss for a specific period. These aspects are some of the most essential aspects of business management. 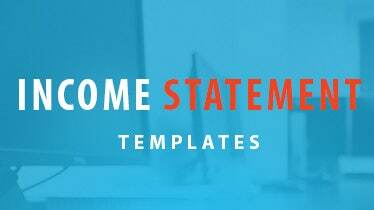 The income statement templates can be trusted to create the most effective formats. These formats can be downloaded with ease by anybody from the internet and put to use for quick recording of financial transactions. 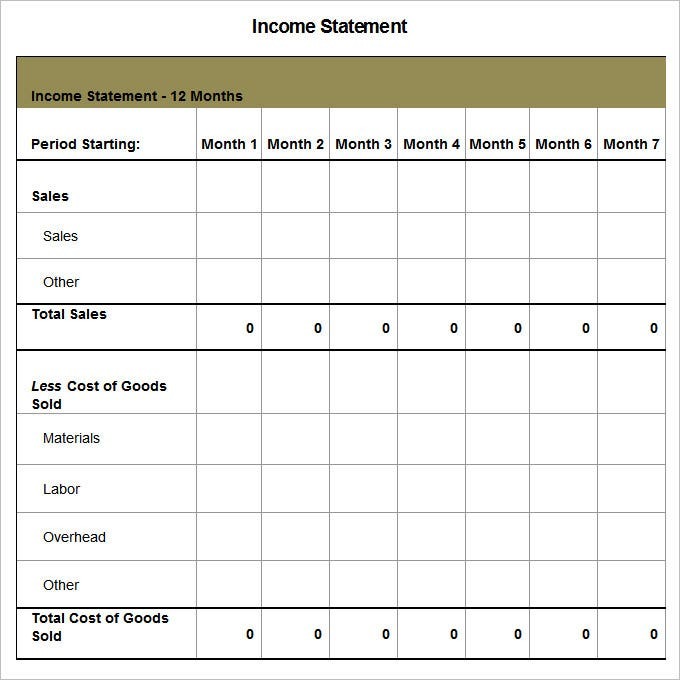 What Is An Income Statement Template? 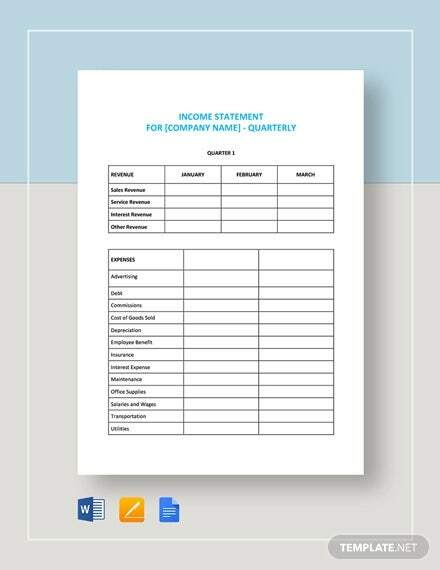 The income statement templates are formats that are professionally designed. They can come in various formats and can contain both grid patterns as well as can support paragraph style of writing. This is a template that can be readily downloaded from the internet and can be employed for the purpose of making financial plans. 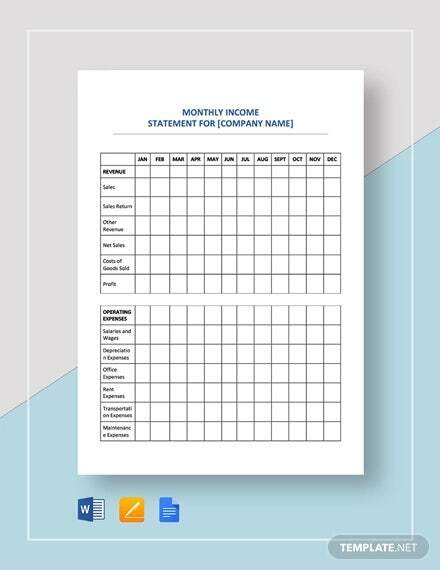 This income statement template can be used for both personal s well as professional use. However the suitability of such templates is higher for corporate or business purpose. The templates hence have the business people s its target audience. 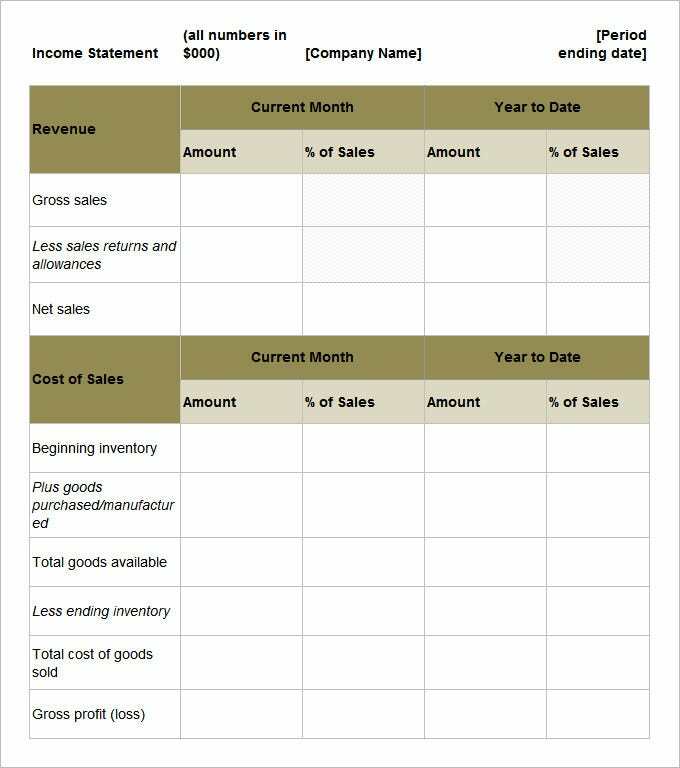 How to Create an Income Statement Template? The template should be able to support both the paragraph style of writing as well as the table format. They should have a formal look. They should be having a good resolution range. 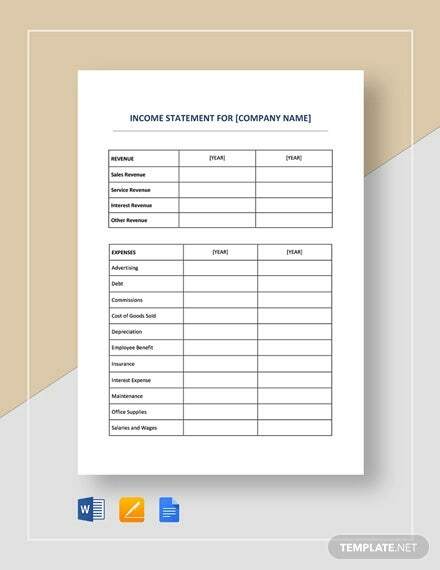 This is an income statement template that has a very formal and professional look. The template supports paragraph style of writing and can contained detailed information of the accounting basics and the profit and loss statements of the company. This template is designed to furnish information on a monthly basis. 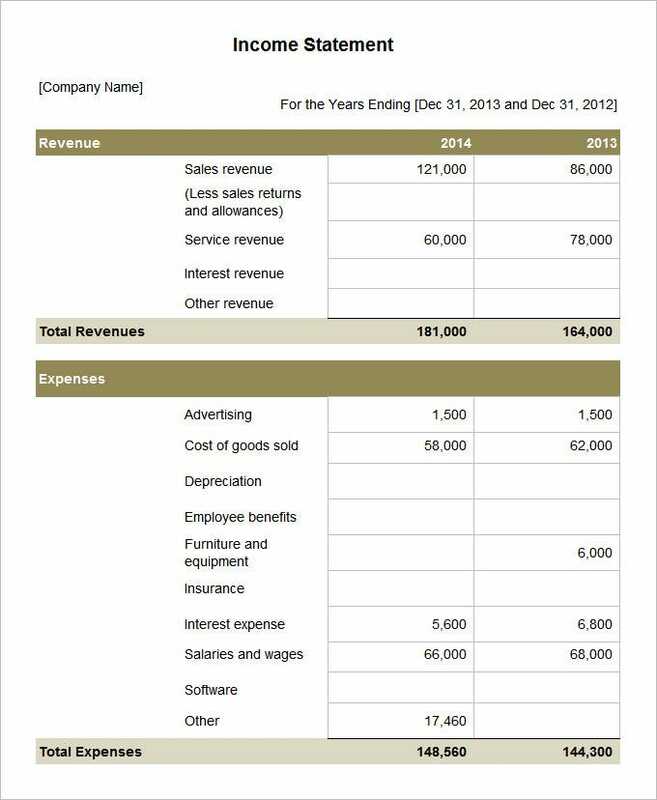 This template design is just the right thing for any company to record and analyze its cash flow information. The template can support the information of the amount of inflow of cash and also the outflow of the same. The template has hundred percent responsive features that help the template to be totally navigable. Income statements can be designed on a personal level as well. These templates can help a person to realize the amount of money that is being earned and the amount of money that is being spent on a monthly basis. These templates can be designed at various time spans. They can contain details of a month or may be a one quarter or even more or less. 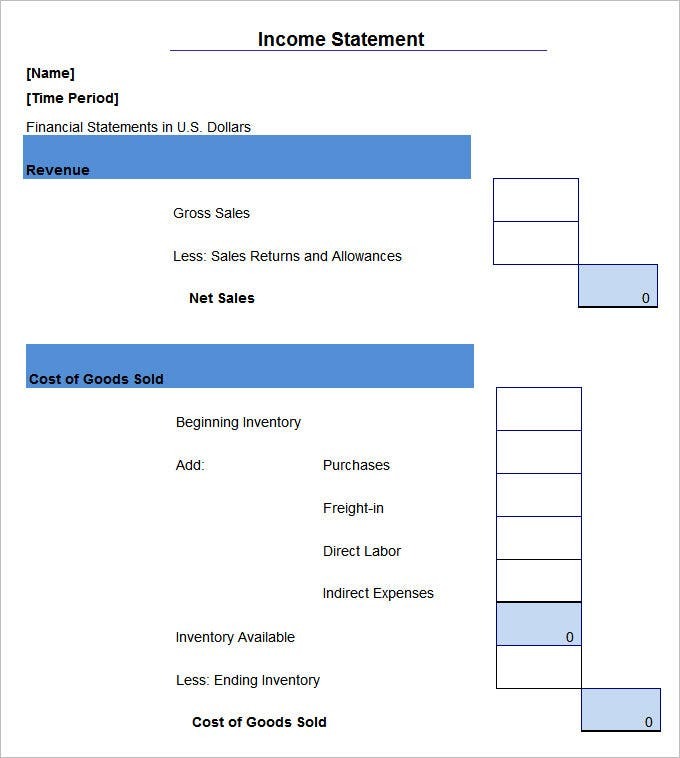 The income statement templates can be used by a wide array of people. The user can make changes not just in the content of the template but also in the background theme. The templates are not just informative but are also very much well suited for the corporate purpose in terms of their designs and format. They can reduce the work of the user considerably.